More than 4,000 Falun Gong practitioners are known to have died since the persecution began in 1999. These are the documented cases, but due to the information blockade in China, the number of deaths is likely to be much higher. Ms. Tian Caiying, a resident of Fushun City, Liaoning Province, became the latest victim of the persecution when she died less than eight months after she was released to serve her prison sentence at home. On April 22, 2016, dozens of police officers broke into Ms. Tian's home, arresting her and ransacking her home. They confiscated Falun Gong books, a photo of the founder of Falun Gong, a printer, a computer, and more than 100,000 yuan in cash. Ms. Tian experienced severe persecution upon her arrival at the detention centre. She was slapped, forced to stand still for long periods of time, beaten, and subjected to sleep deprivation. The persecution continued throughout her seven months of detention. 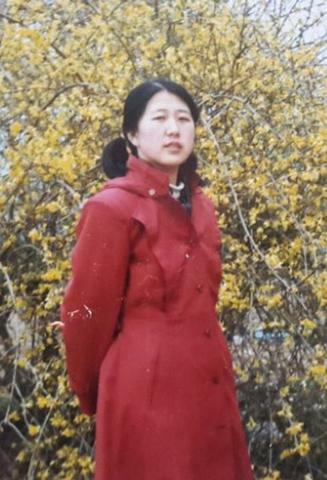 Ms. Tian was very healthy when she was taken to the Fushun Detention Centre shortly after her arrest, but her health quickly deteriorated in detention. She suffered sores on her neck, liver disease, and kidney problems. She requested medical parole but was denied. In November 2016, Ms. Tian was sent to the hospital four times and diagnosed with lymph node tuberculosis. Despite her condition, she was illegally and secretly tried by the District Court without the knowledge of her family and was sentenced to seven-and-a-half years, with the first year to be served outside of prison. The exact time of her court date remains to be investigated. When the detention centre finally released her, the family was asked to pay more than 1,000 yuan for medical expenses. Ms. Tian was very thin and weak when her older sister brought her home in mid-December 2016. Her severe illnesses, coupled with the fear of being taken back to prison and the strain of financial loss, were beyond Ms. Tian's endurance. She passed away on August 2, 2017, at the age of 59.